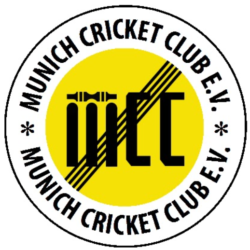 Sunday, 9th July, a bright, sunny day with the promise of thundershowers later, saw MCC return to Situlistrasse for a 35 over friendly against the Breakaways (Munich Lions). Captain Ayub used the wrong coin and duly lost the toss meaning MCC were asked to field first. The two team groups were some distance apart meaning the two scorers were not in contact, in fact for the Breakaways innings I was all alone, no-one standing blocking my view, no-one asking how many runs did so-and-so have etc, so it was really enjoyable. There were of course drawbacks, not knowing the players they were entered as “white pads”,”white hat”, “Johny Cash”, “Bavarian Shirt”, “helmet” and so on. Also, the final innings scores were different, their scorer, unsurprisingly, had a total of five runs more than I had noted. Situlistrasse is a very pleasant small ground, short grass outfield and a decent size allowing good shots to get runs and also good fielding to get run-outs. MCC opening bowlers, Brooks and Bhatia, both bowled well, baker Bhatia in particular and after nine overs the score was 45 for 2, one wicket a bowled by Bhatia, the other a direct hit run-out from Maroofkhel, the first of three in which he figured. Although the openers bowled well they did set a kind of benchmark for wide balls, bowling six in the first eight overs. They were replaced by Ayub and Bhat who easily beat the benchmark with Bhat determined to maintain his lead in the wide-boys table. Neither of them took early wickets and after the 13th over the score was 89 for two down. Konchada replaced Bhat and in the 17th over there was another Maroofkhel/Ayub run out (of Johny Cash) and in the next over there was a third run out. Ayub got one bowled in the 20th over making them 134 for five down. In the 24th over, veteran Carr came on, went for four from his first ball then took the first of his three wickets, bowling their Player “no hat”. Maroofkhel and Ibrahimkhel also bowled, Ahmad getting their tenth wicket and the score on 198 – or 203, whichever you believe. Teas were provided by Seyar Hashimi, making a welcome return to MCC cricket and he brought pre-baked buns to the total amazement of Bhatia. 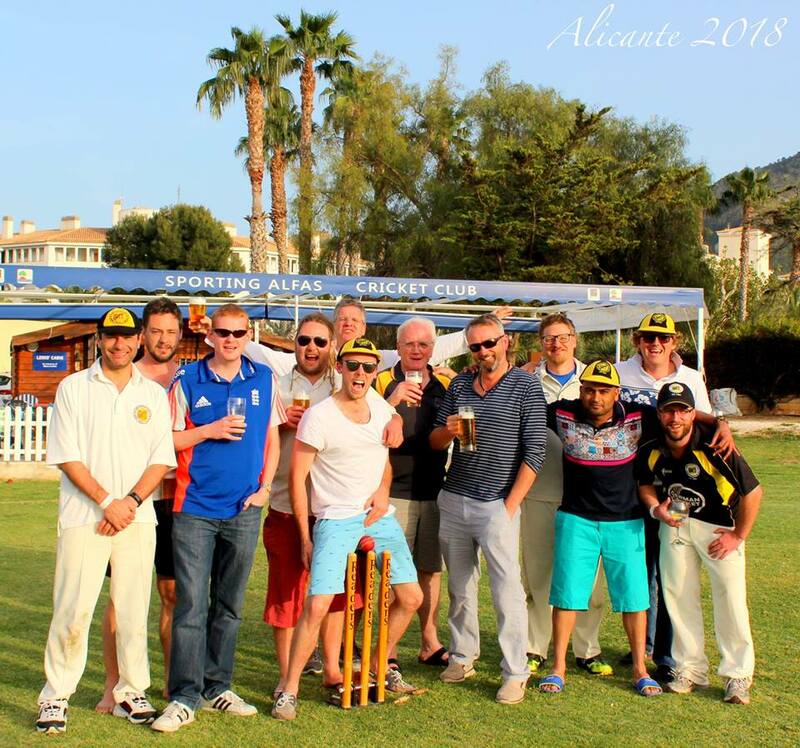 Giles and Otmankhil opened the batting for MCC, Farid aiming not to get another golden one and the Audi badge. He went for five with the score on 10 to make way for Bhat who departed with the score on 20. In came the prodigal son Hashimi who batted extremely well putting on 69 for the fourth wicket after Giles had left with the score on 29 in the ninth over. Baker Bhatia who replaced him put on 79 for the fifth wicket with captain Ayub so MCC were 177 for five down in the 30th over and needing 27 more to win. Konchada and Ayub strolled to victory in the 33rd over, helped by a 5-no-ball and, as soon as the field was cleared, the first heavy raindrops fell.